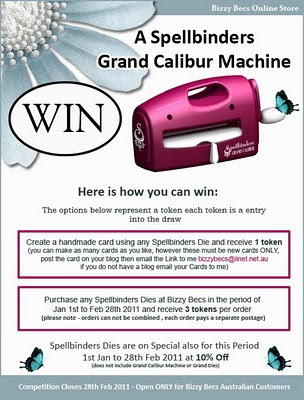 I just wanted to share with you all a competition that you'll find over at Bizzy Bec's (here). The comp is open to all Australian customers only. If you have placed any orders at Bec's for Spellbinders products since 01/01/11, you are already in the draw!! You can see below how to enter. 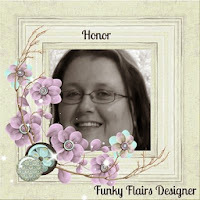 So what are you waiting for, hop over to Bec's and get your entries in. Good luck !! !